As a stationary retailer, you’re looking for customised solutions for your point of sale. 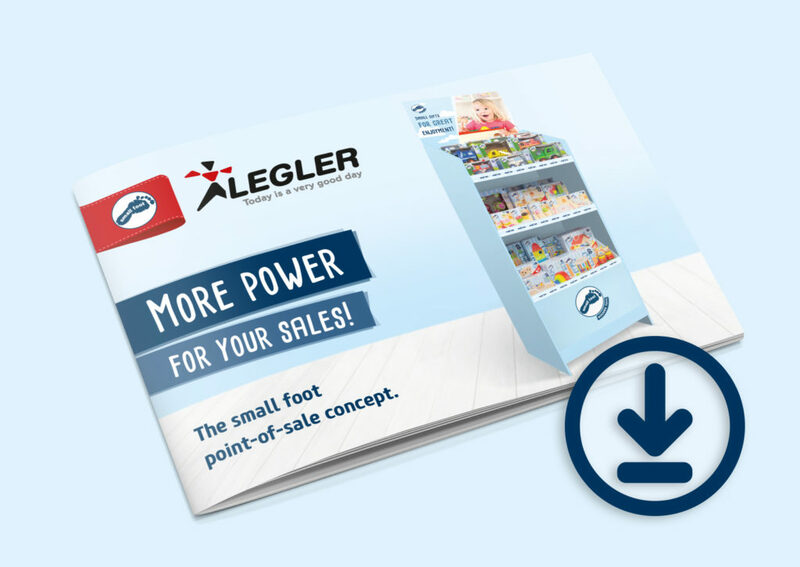 Therefore, we’ve developed a comprehensive system of PoS presentation solutions for our small foot products which will stand in the foreground of the perfect product presentation. 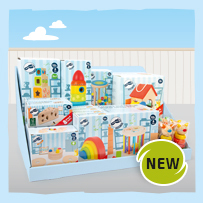 Our assortment ranges from classic sales shelves made of stable corrugated cardboard – ideally combined with our new modular tray concept – and product presentation solutions such as displays for the sales counter and puzzle displays or balance bike stands to additional supplies for metal shelves. Use our ready-to-use concepts for your success! Score big at your point of sale without additional costs! Increase your toy sales quickly and easily! With our small foot Basic Shelf combined with the new modular tray concept, we’re offering you complete freedom! This is because our theme-specific stocked shelf trays can be used in many versatile ways: ideally as an insertable module in the small foor Basic Shelf, but also as a display for the sales counter or table or in your own shelves – the trays are made to fit your needs. Flexibly applicable, these trays offer you a simple yet particularly effective „all-in-one package“ for relevant toy themes and seasonal events.